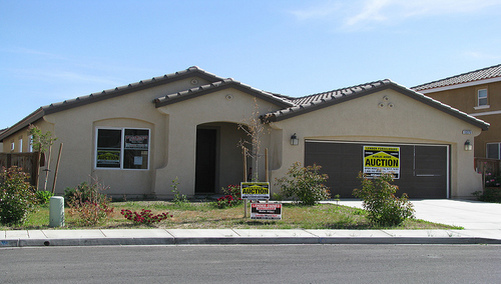 So-called “home retention acts” (loan modifications, trial period plans and payment plans) totaled 680,153 in the third quarter, up 68.7 percent from the second quarter and 153.2 percent from a year ago. These actions relative to the number of borrowers seriously delinquent or in process of foreclosure increased to more than 21 percent in the third quarter, up from 14.44 percent a quarter earlier (about the same percentage a year ago). Newly initiated foreclosures held steady quarter-to-quarter at about 369,000, but were still up 31.3 percent from a year ago. Completed foreclosures and other home forfeitures increased 13.9 percent from the second quarter to 150,602, while short sales jumped 22.4 percent quarterly to 30,766. Of course, most of these loan mods are in the trial period, as we recently found out only 31,382 loan modifications had been made permanent thus far. 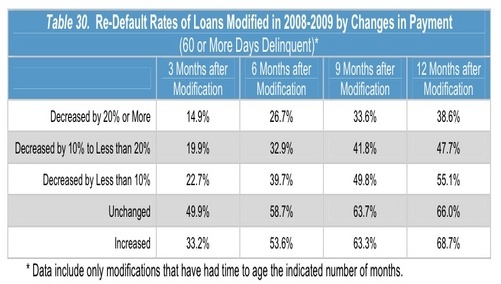 And the re-default numbers on all types of loan mods continue to be nasty, with more than half of all modified loans back in arrears (60 or more days delinquent or in foreclosure) after just six months. 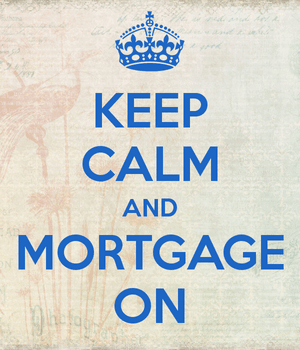 And yes, monthly mortgage payment seems to determine whether a borrower will get back on track. Re-default rates have actually been much better for option arms, likely because of the prevalence of principal balance reductions. Government-guaranteed mortgages (FHA loans, VA loans) have exhibited the worst re-default rate, with nearly two-thirds 60 days + delinquent after 12 months; portfolio loans performed best with a re-default rate of just 41.7 percent.